Learn the easy way, how to use photoshop! 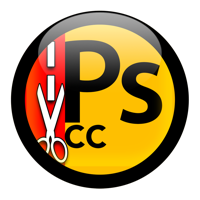 LEARN PHOTOSHOP CC NOW is a basic course about PHOTOSHOP. With 25 lessons and a total of 65 minutes of videos in english, this course shows in a hands on approach, how to use Photoshop to do all kinds of operations, like adjusting colors and levels, taming the interface, improve photographs and more. LEARN PHOTOSHOP CC NOW is a course for all kind of people, from pros to amateurs, students or digital photography enthusiasts or by those who simply want to learn Photoshop or improve their pictures. Available for iPhone, iPad, Mac OS X and Apple TV. Check our other Photoshop Course by clicking here.